More than 10,000 thoughts pass through our minds each day. 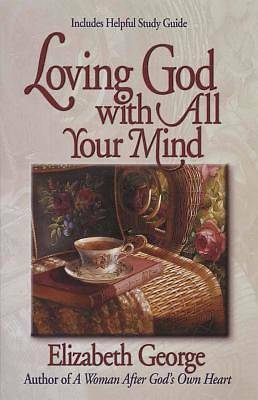 Wouldn't you like every one of those thoughts to be God-pleasing? From her own past struggles, Elizabeth George shares how you can know the inner joy that comes from focusing your mind completely on what is true, pure, lovely, and good. Six simple yet powerful Bible truths for loving God with all your mind will permanently change the way you think, feel, and live.